For added safety where a route has been defined, it is important to provide delineation using a gate rather than leave a gap in the barrier run where a pedestrian may then inadvertently walk into an unsafe condition. The Swing Gate incorporates a high-quality self-closing double action hinge mechanism allowing bi-directional access. Gate rail is made from a synthetic polymer derivative. Base plates, built in, in steel or stainless steel. Can be fixed to handrail HP plus. 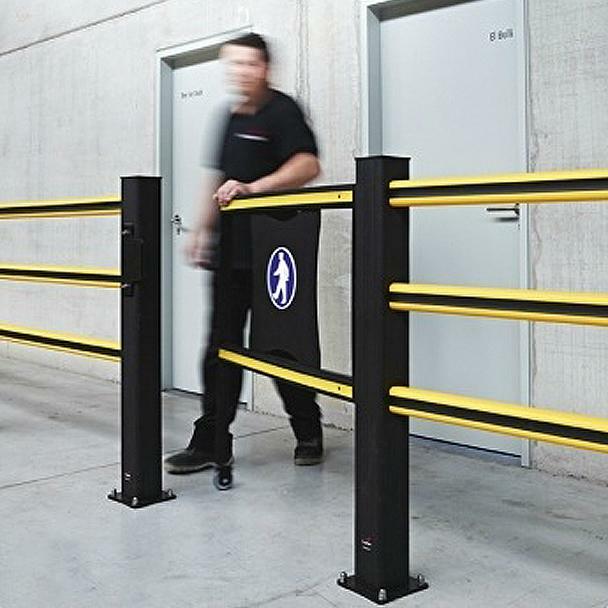 The Swing Gate & Sliding Gate are designed to be compatible with the Handrail product range and allow controlled access/egress into and out from a designated walkway. For added safety where a route has been defined, it is important to provide delineation using a gate rather than leave a gap in the barrier run where a pedestrian may then inadvertently walk into an unsafe condition. The Swing Gate incorporates a high-quality self-closing double action hinge mechanism allowing bi-directional access. Both Swing & Sliding Gates are available with a range of standard openings and can be supplied as single units or in pairs. Narrower gates are available to special order. Sliding Gates are fitted with a small hard wearing nylon floor wheel ensuring the gate is supported during travel and provides consistently smooth operation. In addition, both types of gates can be optionally fitted with a tower bolt so they may be secured in either an open or closed position. 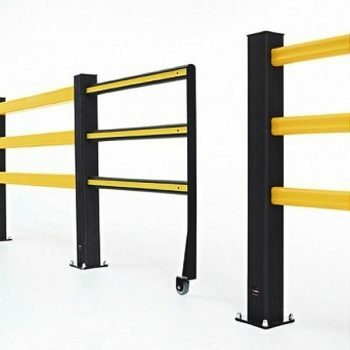 In loading bays or enclosures where a Swing Gate in an open position would present an obstruction to traffic movement, or be inconvenient for traffic access, the Sliding Gate is an ideal solution as it opens into an adjacent section of the standard pedestrian barrier, the length of which is determined by the gate opening. 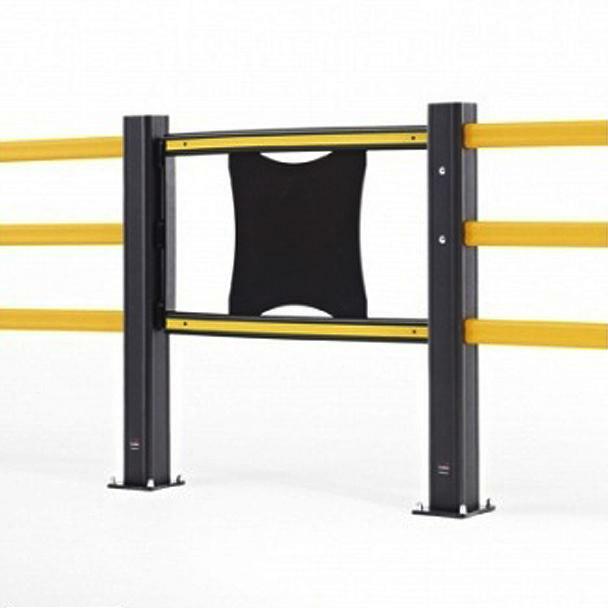 The gate and barrier sections are supplied as a preassembled unit. Component parts are manufactured from a highly durable synthetic polymer derivative. The material has great resilience, yet is elastic in nature and absorbs the energy from impacts, before returning to its original shape. 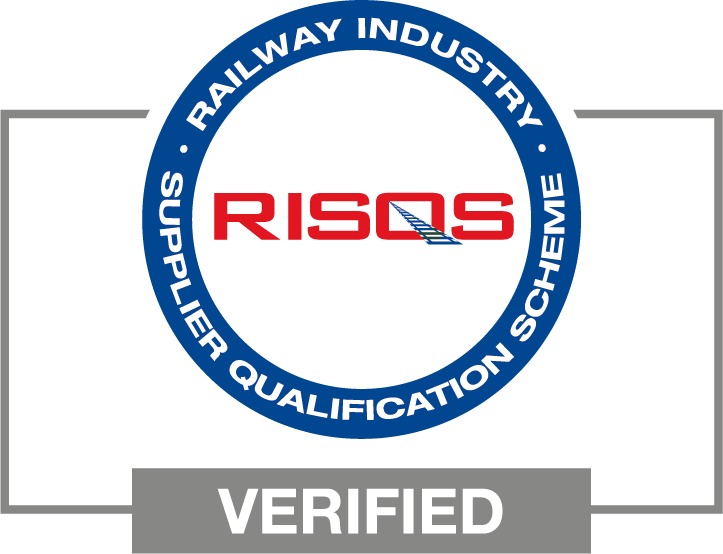 The gates have been designed and developed to comply with relevant safety standards and regulations.